Many of the requirements for starting a home bakery business depend on where you live. Food produced for commercial consumption in an in-home kitchen is heavily regulated, and what's permitted in one area may be prohibited in another. After you've established the legalities and obtained the necessary permits, make sure your kitchen has all the equipment you need -- or you might consider leasing space from an existing facility that offers commercial-grade appliances. Check with your state to find out the specific licenses and permits you'll need. Your city or county may require a general business license, and zoning laws may require a home occupation permit for your business as well. Most states require a health department permit, which will involve inspecting your kitchen for safety and cleanliness. Some states regulate what a home bakery can sell. 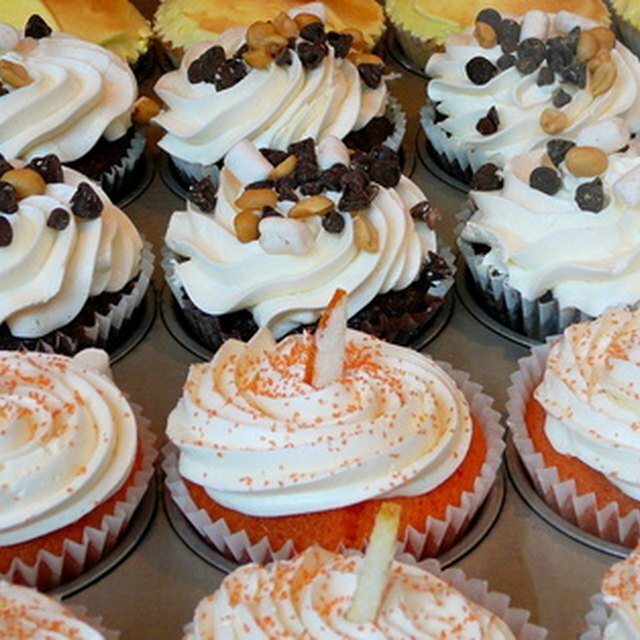 For example, you can produce cakes that don't require refrigeration in Georgia, but a cake with cream cheese frosting or a tres leches cake would be forbidden because these cakes spoil if they're left out in the open. If your neighborhood isn't zoned for a home-based business, or if your Homeowners Association prohibits them, you may not be allowed to conduct a bakery business out of your home at all. You'll also need business insurance to protect yourself -- otherwise, if someone gets sick from one of your creations and sues, you could wind up paying the price. You'll have to pay state and local taxes on your home bakery business in most cases. Income taxes and employment taxes are the most common. Check with your state for the specific obligations where you live. After you've decided to open a home bakery business, your next challenge is to decide what to sell. A unique product or service can help you stand out in the marketplace. If you're the only store in town that makes gluten-free desserts worthy of a fancy party, you'll be well on your way to meeting an established market need. Being a latecomer to the current trend can make this difficult -- you'll have a tougher time as the 10th cake pop shop in the neighborhood. Unless you're operating on a very small scale, the equipment commonly used in a traditional family kitchen won't be enough to meet market demand. Investing in a second kitchen used exclusively for work can be expensive, but separate food preparation and storage space is required in many states. At the very least, you may be required to update your ventilation systems or hoods, install additional sinks or add a sprinkler system. You'll also need other key supplies, like countertop mixers, kitchen scales and enough nonstick baking mats to handle a business's worth of baked goods. If you're upgrading your oven, that alone can run thousands of dollars. You may also be able to rent kitchen space at a local commercial kitchen or restaurant during off hours. This can be useful if you're planning on doing your baking late at night or first thing in the morning. Such kitchens have already been approved by the local health department and have commercial-grade equipment for your use. For example, if you have a bread business, you could use the kitchen of a local restaurant that doesn't open its doors until later in the day to get that day's baking done before sunrise. Then you can operate the other functions of your business, like sales and marketing, from your home.